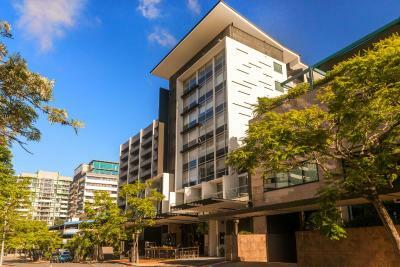 Lock in a great price for Mantra Terrace Hotel – rated 8.2 by recent guests! Why are you sending me this? I have rated it and even received a thank you note from the hotel itself! The room was nice and cozy. The Staff (Receptionist/Housekeepers) were very friendly and helpful. I truly liked my short stay at this establishment! Clean room. Comfortable bed. Good quality pillows (1 big, 1 smaller, perfect). Modern feel. We had a window. The staff was friendly. Quick walk to central station. Close to Jack and Jill cafe nearby. Nice modern decor. 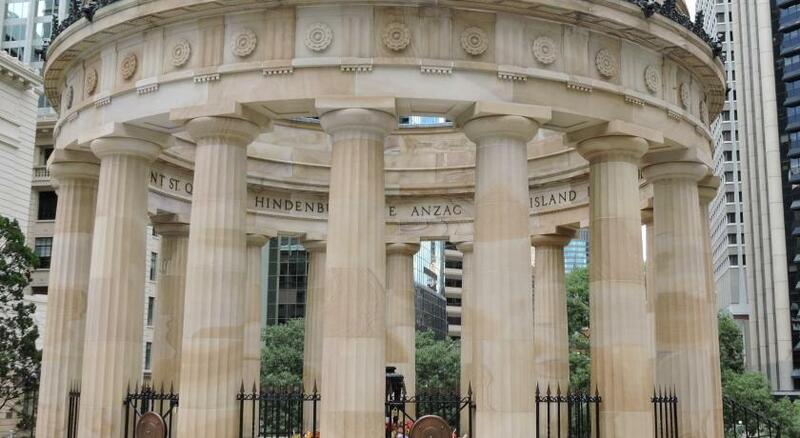 It was close to the train station, which allows easy access to the airport and Gold Coast. It was also close to shopping areas and groceries. The bed was very comfortable! A very nice hotel and good value for money. Would recommend it at as a place to stay. I was very disappointed that the free wifi code did not connect me on two separate occasions in one night so I gave up trying. 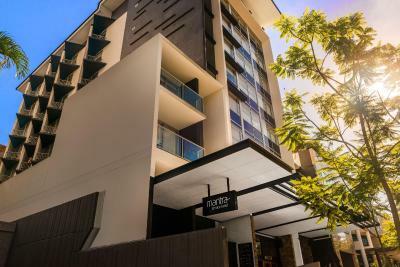 Mantra Terrace Hotel This rating is a reflection of how the property compares to the industry standard when it comes to price, facilities and services available. It's based on a self-evaluation by the property. Use this rating to help choose your stay! 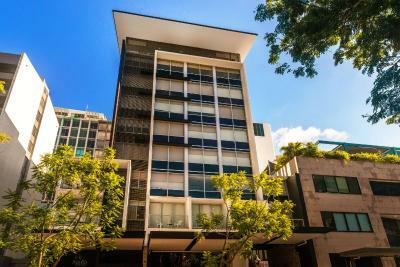 Mantra Terrace Hotel Brisbane is a contemporary boutique hotel in the heart of Brisbane, less than 1,650 feet from Central Station. It offers rooms with a 40-inch LCD HD TV that has 20 selected cable channels. 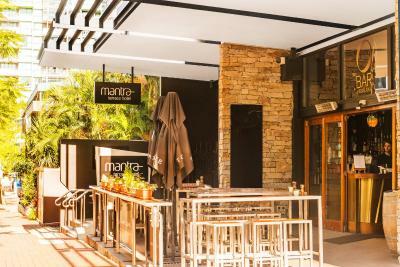 Mantra Terrace Hotel is located on Astor Terrace, just 4 minutes’ drive from Queen Street Mall and the Eagle Street financial district. The Fortitude Valley entertainment area is a 15-minute walk away. Each air-conditioned room is elegantly furnished and offers tea/coffee making facilities. Some rooms have a balcony and a work desk. Spring Hill is a great choice for travelers interested in parks, city trips and city walks. 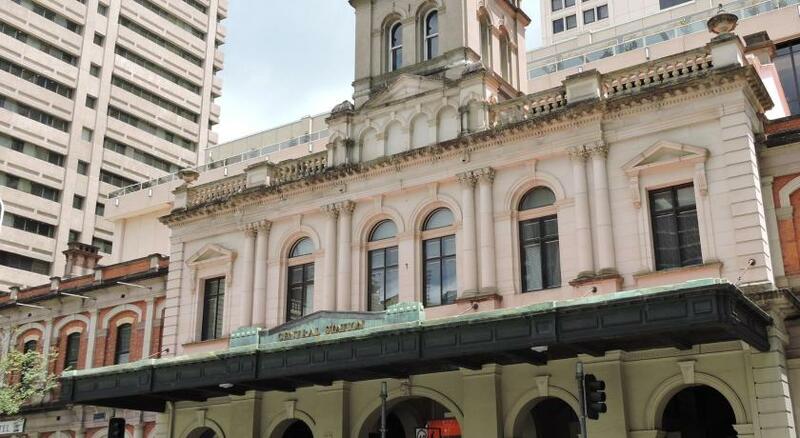 This is our guests' favorite part of Brisbane, according to independent reviews. When would you like to stay at Mantra Terrace Hotel? Features luxurious bed linen, large private bathroom, tea/coffee making facilities and a 40 inch LCD HD TV with 20 selected cable channels. Public parking is available at a location nearby (reservation is needed) and costs AUD 30 per day. 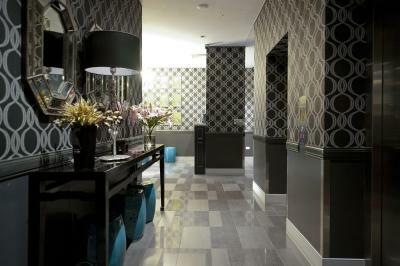 Features luxurious linen, large private bathroom, a work space and a 40-inch LCD HD TV with 20 selected cable channels. 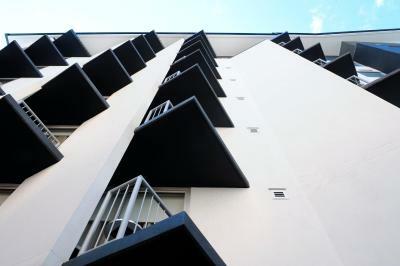 Most rooms also offer a small Juliette balcony. This suite features a kitchenette with a dishwasher, a stove top and a refrigerator. The lounge area offers a 40-inch LCD HD TV with 20 selected cable channels. The luxurious bathroom offers a bathtub and a shower. This double room features air-conditioning, 20 selected cable channels and a mini-bar. Please note that these eco-friendly rooms are designed to minimize their environmental impact by offering a weekly housekeeping service only. This double room has air-conditioning, electric kettle and 20 selected cable channels. This suite features air conditioning, 20 selected cable channels and a mini-bar. At Mantra we say there is ‘room for everyone’. But which room is yours? Find your Mantra. 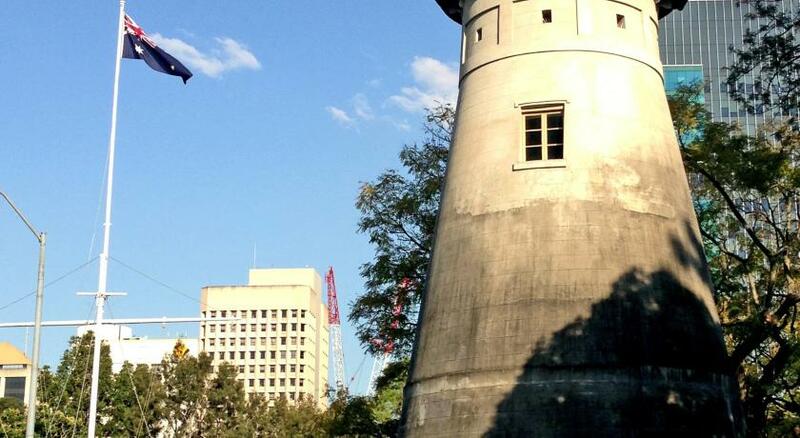 It could be under a rainforest canopy, overlooking a beach or in the middle of a city. Find your passion. If you have the heart of an explorer we have the place to make it sing. Find what’s important. The human touch, the welcoming smile, the forethought. Find what’s around the corner. All Mantra Hotels Resorts and Apartments have exceptional locations, offering convenience as well as unique perspectives on your destination. Find a fun way to work. Many Mantra properties offer extensive conference solutions across Australia and New Zealand. Our Sydney conference venues, Melbourne conference venues and Brisbane conference venues are all close to their respective CBDs, while our Gold Coast conference venues and a venue at Lorne on Victoria’s Great Ocean Road, offer delegates the chance to combine business with more relaxing activities. Find your wedding venue, your next family holiday, or your romantic getaway. There are Mantras throughout Australia, New Zealand and Bali each with their own unique identity, ready for you to discover. Find your smile. Find your bearings. Find yourself. At Mantra. Hotel surroundings – This neighborhood is a great choice for travelers interested in parks, city trips and city walks – Check location Great location - show map Guests loved walking around the neighborhood! House Rules Mantra Terrace Hotel takes special requests – add in the next step! A AUD200 damage deposit is required on arrival (around USD143.03). This deposit will be fully refunded 14 days after check-out, as long as there isn't any damage to the property. Mantra Terrace Hotel accepts these cards and reserves the right to temporarily hold an amount prior to arrival. Please note that housekeeping service is only offered for stays of less than 3 nights. You can request additional housekeeping services for an extra charge. Please note that this property has a 'No Party Policy'. Pets are not allowed, however Guide, Hearing and Assistance animals are welcome. For bookings of 5 or more rooms, hotel has the right to charge 100% deposit at the time of booking and cancellation will be 14 days prior to arrival. A damage deposit of AUD 200 is required on arrival. That's about 143.03USD. This will be collected by credit card. You should be reimbursed within 14 days of check-out. Your deposit will be refunded in full by credit card, subject to an inspection of the property. The bar area was closed for the entirety of the Easter Long Weekend. Also, when we left our room on the second day for cleaning and fresh towels, nobody serviced it. The staff went above and beyond to make the stay comfortable with ideas and advice for saving money and enjoying nearby amenities. The bathroom was not clean (little flies jn the bathroom) and several stains on the wall. Could be cleaner. The bed was very clean and that’s what I find most inportant. cleanliness, excellent staff communication, walking distance to the central station, value for money. Vrandah could have been slightly larger - barely sufficient for a small table and two chairs. Location very convenient when arriving by train. Managed to find shortcuts from the station to the hotel. Room was well appointed, although small (which we knew prior to arrival). Staff were pleasant and unobtrusive. Size of rooms were small. Bed needs to be replaced, it squeaked when I moved. And the pillows were too lumpy. Many marks of the walls. Looked tacky. However you get what you pay I guess. Small room but only there to sleep. Lack of amenities. Coffee mugs and water glasses not very clean. No ice machine. Bed was soft and comfy. Curtains in room 210 were so thin and the light from the building next door was shining through all night. Very little sleep had.